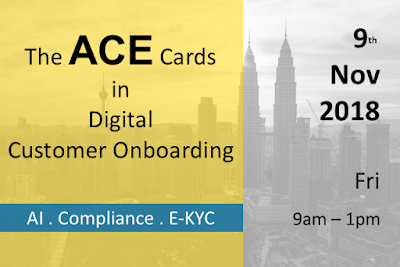 That’s a wrap on “The ACE Cards in Digital Customer Onboarding”, a seminar focused on eKYC topics held in Kuala Lumpur and Jakarta on the 9th and 12th of Nov respectively. Even without the “e”, KYC (know your customer) for the regulated financial and banking sectors comprises a wide spectrum of activities. And the responsibility of KYC scope expands over time to cope with prevention of financial crimes, especially the AML/CFT/ABC (anti-money laundering/countering financing of terrorism/anti-bribery and corruption) compliance. Prior to assessing a customer’s financial risk, identity verification (IDV) is traditionally the first and an important pillar within KYC process. Australian’s system uses the 100-point check, while Malaysia’s financial system relies on MyKad-fingerprint verification in face-to-face IDV. 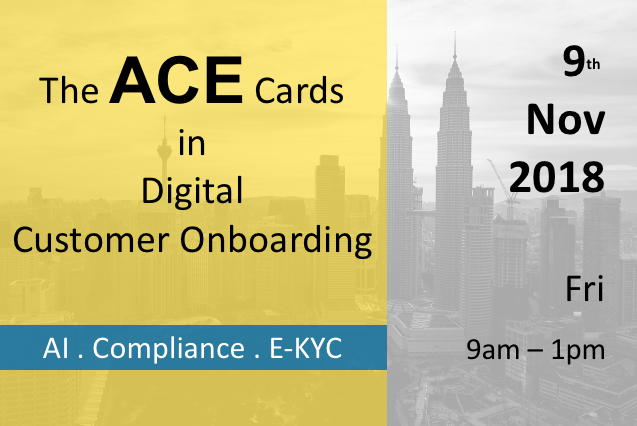 And as electronic KYC is becoming the new normal due to evolving landscape in client onboarding trends, most if not all of the KYC activities are to be automated online with straight through processing, such as facial recognition for facial sighting and online API for financial risk assessment. At the same time, deep techs such as artificial intelligence and big data analytics are embraced to unlock new possibilities in financial crime prevention and create new opportunities from financial inclusions. If we speak to 1 person to understand eKYC, we may only gain a tip of an iceberg. That is why, we gathered 7 speakers in Kuala Lumpur, and 6 speakers in Jakarta, to share their respective views on eKYC. Microblink is a R&D company developing proprietary computer vision technology optimized for real-time text recognition locally on a mobile device. 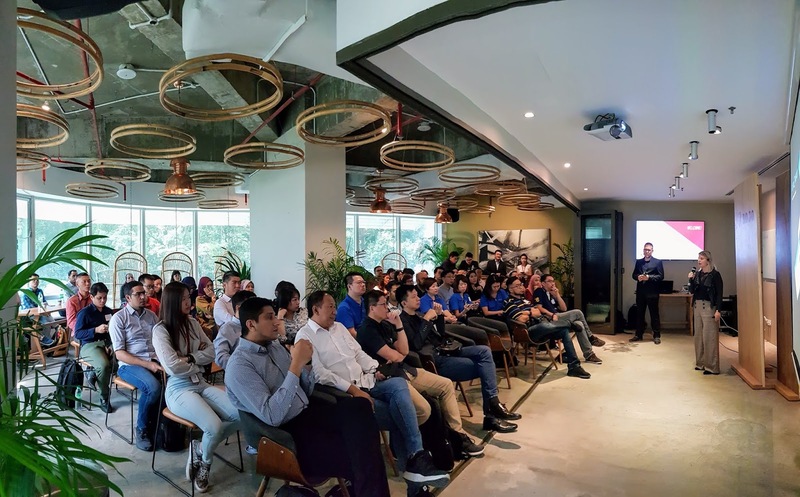 Innov8tif is a regional distributor of Microblink in Southeast Asia, and we are using Microblink’s OCR technology as part of EMAS eKYC suite, to recognize ID card details as part of the ID verification process. Valentina Kusek and Boris Trubic came all the way from Zagreb, and shared with us exciting updates about Microblink’s next generation OCR technology – DeepOCR, and its model trained for bank/credit card scanning. In addition to ID card recognition on mobile, DeepOCR will also be made available to server-side processing as Web API. Seeing beyond text recognition, Microblink is also working on document authentication technology, such as hologram detection to prevent identity fraud.